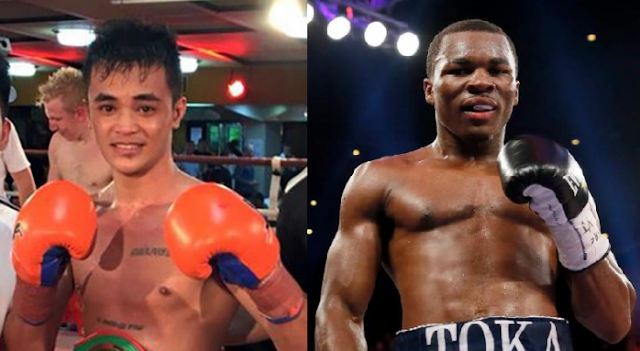 Undefeated Filipino boxer John Vincent Moralde is set to face the Hard Hitting Toka Kahn Clary on December 1st in the USA. Moralde who has an undefeated record consisting of 19W(10KO)-0L will fight in the USA for the first time. Moralde who is currently ranked no. 1 super featherweight boxer in the Philippines and won his last 3 fights all by way of KO. The 23 years old boxer from Davao City, Davao del Sur, Philippines is also a former Philippine Super Bantamweight Champion. Meanwhile, Toka Kahn Clary is a 25 years old boxer with a record of 23W(16KO)-1L. He was once knocked out by Jhon Gemino of the Philippines in the 1st round but bounced back and won his last 4 fights 3 on those are by way of KO. Clary vs Moralde will be held at Strand Ballroom and Theater, Providence, Rhode Island, USA on December 1, 2017.